Samuel A. Bartels is a lawyer who specialises in Information Privacy, Telecommunications, Media and Technology law. He is also a journalist, lecturer and Speaker. He currently works with MTN Ghana where he combines the role of Regulatory Manager and Data Protection Officer (DPO). He previously worked with Vodafone Ghana as a Regulatory and Government Affairs Specialist, having also served as a Legal Counsel for transactions. Sam holds a Master’s Degree in law from the Center for Commercial Law Studies of Queen Mary University of London in the UK. He is a member of the International Association of Privacy Professionals (IAPP) and is a Certified Information Privacy Professional for the European Union (CIPP-E). He has addressed a myriad of topics such as telecoms, privacy, technology and IP rights on platforms including the Ghana Data Protection Conference, International Telecommunications Union (ITU) Study Group Workshop for Africa, National Communications Authority (NCA) 20th Anniversary symposium etc. He also lectures at the Ghana Technology University College (GTUC). Before joining the private corporate world Samuel worked in private legal practice, specializing in Corporate and litigation with Sam Okudzeto and Associates (Sena Chambers). A working contradiction or many things rolled up in one – call it what you would because he combines privacy advocacy with championing freedom of expression. 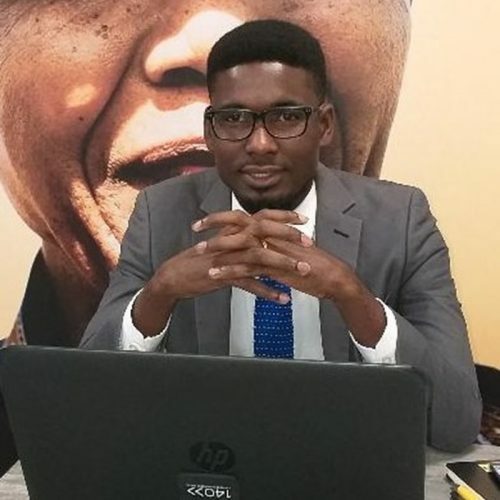 As a journalist he has previously served as BBC Country Correspondent for Ghana, hosted an award radio morning Show (Citi Breakfast Show) and served as Sports Editor and is still a TV anchor on a number of Ghanaian TV stations. He combines his diverse interests with providing pro-bono legal services for tech startups in Ghana.